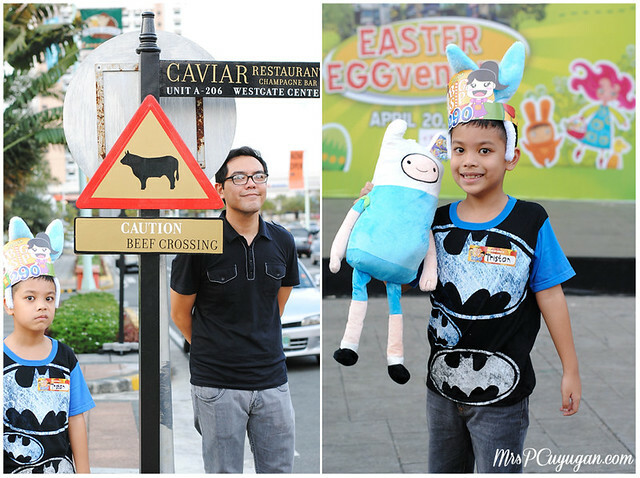 Like I said in yesterday’s post, the boys and I went to two Easter events this year. I really made an effort to make it to Westgate’s Easter celebration because I know that Little MrC enjoys attending events there. 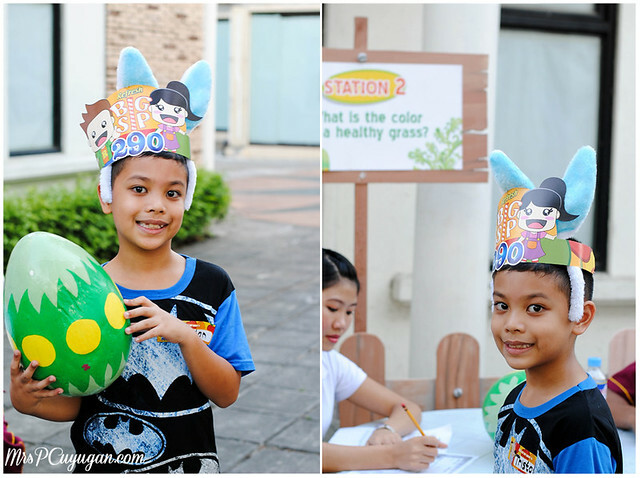 We’ve been to several of Westgate’s Easter and Halloween events from the time that I was working for Filinvest, and even afterwards. Bonus: These events give me an opportunity to hang out with my former workmates. Extra Bonus: These events also give me an excuse to invite the boys for dinner at Whistlestop, something that has become a post-event tradition for us from my mall events days. We arrived just after 5pm, which really is the best time to come to Westgate because it isn’t too hot anymore. At the registration area, we were given a map for the stations that we needed to visit. There, we had to answer a question. The first letter of each correct answer would spell out the “secret word”, which participants needed to claim their prizes. Right off the bat, this guy knew which prize he wanted. Can you guess which one it is? The stations were spread out all across Westgate. In each one, there was a giant Easter egg, made by the very talented creatives people of Westgate and Festival Supermall. I’ve worked with these guys, and really, they are amazeballs. After our really hot afternoon in Makati, the Alabang breeze was such a welcome relief. One of the best things about Westgate on a good weather day is that you can really dine alfresco without having to worry about melting from the heat. It’s especially lovely there at Christmas time. I actually enjoyed answering the questions at all of the stops. The promo girls couldn’t help but laugh at all the answers that the boys and I threw around. One of the skills that I’ve had to master as a writer is how to say things in a different way, and this often involves the use of synonyms. So, yes, I could think of more than one way to answer the clues given. Good thing MrC was also there to choose the most logical and sound answer haha. Caviar is one of the newer restaurants in Westgate that I really hope to try soon. I hear good things about it from my friend, Joei. Just thought I’d share that. So anyway, after going around all of the stops, we guessed the secret word and Little MrC was rewarded with his prize of choice – an even bigger Finn the Human stuffed toy. He now has a big one and a small one who sleep on his bed and keep him safe at night. Yay! We finished the course! I was looking for easter sunday activity in the south. Had I known, my daughter and I wouldn’t have gone to MOA. Looks like you had a fun Easter celebration. We just celebrated at home. That looks like a lot of fun. Totally different from the Easter we spent at Westgate last year. This is a fun and educational way of celebrating Easter. And it looks like a very nice place. It looks like Little MrC enjoyed his Easter! We didn’t get a chance to attend an Easter event this year since we went to hubby’s home town. Bawi ako next year sa kids. I knew it!!! Finn was Li’l MrC’s choice! Hah. I was right (dance dance dance). Sniff (biglang “sniff”, di naman bipolar ang peg ko? 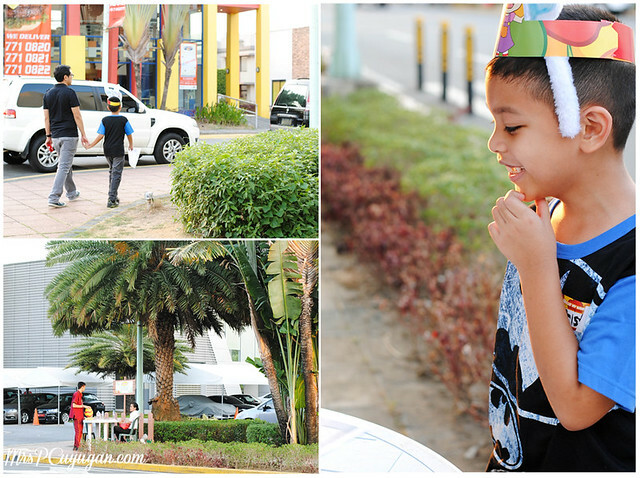 hehe) you’re making me miss Westgate and Alabang…….I love that place. What a Grand Easter Adventure! 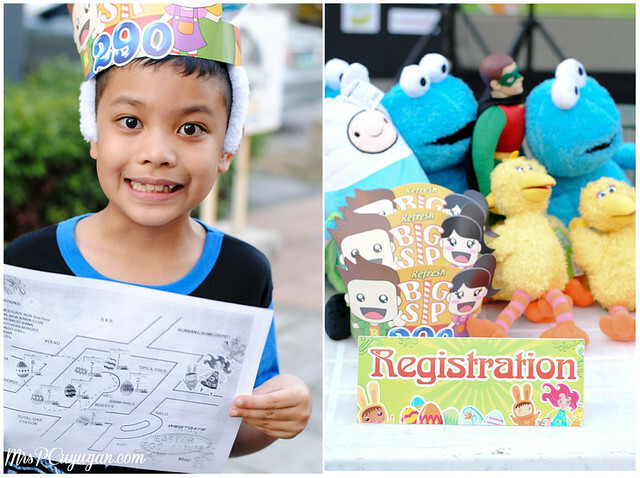 How lucky the kids are… and such fabulous prizes… I really like Finn! Looks like you had a very busy Easter Sunday. Little MrC looks very happy with his Finn the Human stuffed toy. I really don’t get Adventure Time but my boys love it so much. Ay grabe, my boys love it also! Starting to grow on me narin after all this time hehe. looks like your boys had a lot of fun! My son have no experience in easter egg hunting yet. That Finn doll is so cute! Ah, I wish our city had a lot of egghunting events during Easter. I always wanted to bring my son to events like this but living far from the metro is always our problem. Especially now that the traffic jam at EDSA is so terrifying haha. Beautiful place there. Looks like States. Ganda! I agree, Westgate is really pretty! That’s a great prize for the easter egg hunt. I can see him beaming with joy in the pictures. Good job with the loot! Little MrC looks happy. 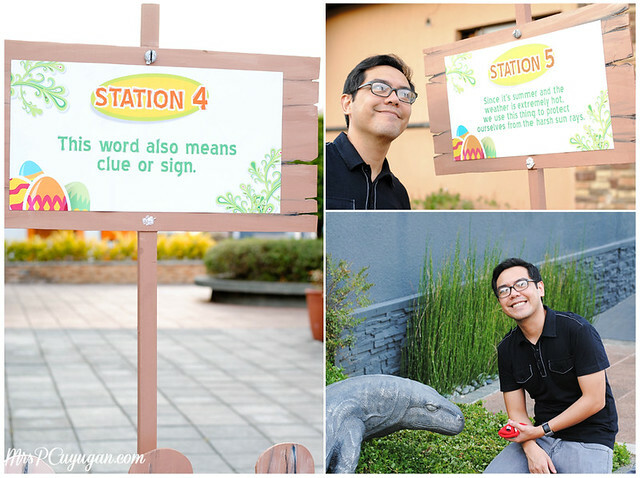 So what is the word for station 4? Wow, what a lovely experience! My kids are grown, they don’t like to go egg hunting anymore! I suddenly miss this. The Eggventure look so much fun with some clues along the way. My kids do egg hunting at their Aunt house, sadly I wasn’t there to take some photos. I was working that day.. maybe next time. Great photos!